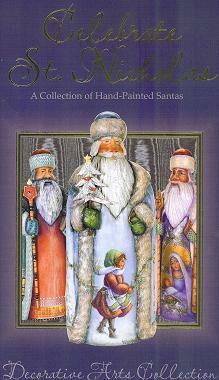 Forty-three St. Nicks are featured, twenty with complete lessons so you can create your own! Bobbie T.'s Nutcracker Santa is one of 20 featured artists with complete patterns , step paintings and instructions. The Soft-cover copy is $23.95 and the Hard-cover copy with dust jacket is $34.95.